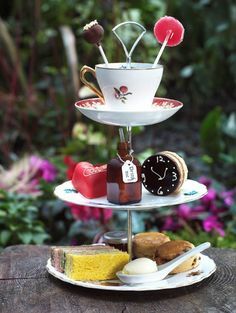 Looking for modern day tea party ideas? Let’s explore the tradition of tea, the social revolutions it caused, and ways to celebrate the delightful, healthy treat. 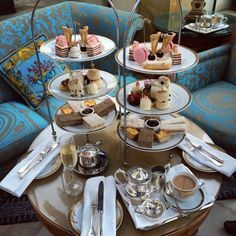 Tea parties have long served the purpose of being a somewhat quaint gathering during times when a dinner party would be too troublesome, inappropriate or over the top. Tea itself has quite an interesting history. Thought to be an accidental discovery, (one story goes that) servants in 2737 B.C. were boiling water for sanitation purposes when dried leaves fell into the pot, creating a flavorful new beverage. It is widely thought to have continued as a tradition throughout ancient times, largely in part due to the fact that most water had to be boiled for sanitation, anyway. The added flavor provided by the tea also covered up any bad tastes from water before modern day filtration systems. In the 1600’s, tea began to reach England and soon became the national drink. Tea changed Britain drastically. It provided a reason for an afternoon meal, changing from the prior traditions of only breakfast and dinner (only two meals a day). The Duchess of Bedford began inviting friends over for this “third meal” along with tea and walks in the field. 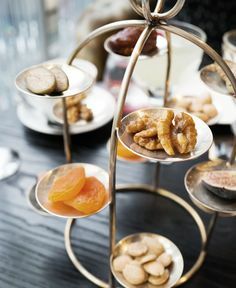 For the royalty and wealthy, “Low Tea” was served with simple snacks in gourmet presentation. 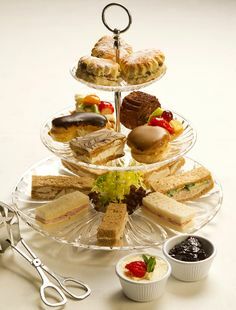 “High Tea,” was for the middle and lower classes and was the main meal of the day, served with tea. Tea broke across class and social lines as Tea Gardens were born. Entertainment was provided in the gardens by musicians, and ladies were finally free to socialize. In Victorian times, servants gathered fine nets to cover “picnic tables,” fine china, small sandwiches and a spirit heater for tea. Specific shady areas were chosen to protect the ladies’ fair skin. Thus, the modern day picnic was born. Ideally, you’ll want to host your tea party at tea time (4 or 5 p.m.). For an outdoor tea party or picnic, you’ll want to be certain the weather is mild. After all, it’s difficult to enjoy the warm, savory flavors of tea in the sweltering hot sun. Traditionally, picnics were held in cool spots near streams or creeks where children could also entertain themselves while the ladies chatted. 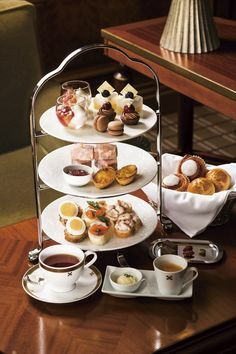 To host an elegant tea party, one should first decide the types of teas to be served (based on event time) and then find foods that pair well. For Tea Party Menu Ideas, our site has a plethora of resources. Try our Tea Party Food Category, and also this hugely popular Article Steps to Creating a Memorable Tea Party Menu for inspiration. A white linen or lace table cloth is most elegant, paired with fine china, if available. As you might imagine, the most elegant tea party ideas are often the simplest : a lace covered table with white china and fresh flowers. The most elegant tea party ideas are often the simplest : a lace covered table with white china and fresh flowers. 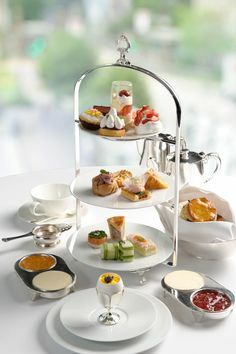 A typical tea party will have the option for coffee as well, ideally with one tray for each at separate ends of the table. Since tea is usually poured with the right hand, cups and saucers should be placed to the left of the trays. You’ll want to be certain that you’ve properly prepared tea and coffee. For tea, one full pot should be brewed and waiting for guests. In modern times, some use hot water dispensers for hosts to make the tea. Please keep in mind, however, that depending on the tea you are serving, this may impact the flavor, as some teas should not reach boiling temperatures or over-steep. For tea, be sure you set out a pitcher for cream, a bowl or tray with lemons, sugar bowl and honey. Be sure to also set out cream and sugar for coffee. Sweet items pair well with black teas, as those who don’t use sugar in their tea will find the flavors very complimenting. Tea party sandwiches (here’s a great blog post we prepared earlier on this topic! )are a safe bet to have on hand, regardless of what kind of tea you are serving. Some simple ideas include finger sandwiches, cream teas, scones with delightful homemade jams, or gourmet breads with a choice of spreads. Electric hot pads can be useful for keeping trays warm. The proper way to serve tea is after it’s brewed. In other words, don’t serve a teabag! Three to four minutes should be long enough for most tea bags to steep, so it shouldn’t take long to prepare this for your guest, if needed. The beauty of tea parties is that they are simple enough to appear elegant without serving help. A few beautiful self-serve platters will enhance the occasion. According to etiquette, the host (or a close friend) always pours the tea. Also, you should ask guests about cream first, then sugar (which should be in cubes), before pouring the tea. When stirring, you should not allow the spoon to “clank” against the cup. Tip: Let your spoon scrape the bottom of the cup and stir within the walls. A proper tea party will have a dress code nice enough to honor any guest of honor, if there should be one. Of course, one can always have a casual occasion with tea. Tea lovers, however, almost always appreciate a good tribute to the tradition of the beverage. There are an abundance of tea party ideas, regardless of how formal you chose to be!